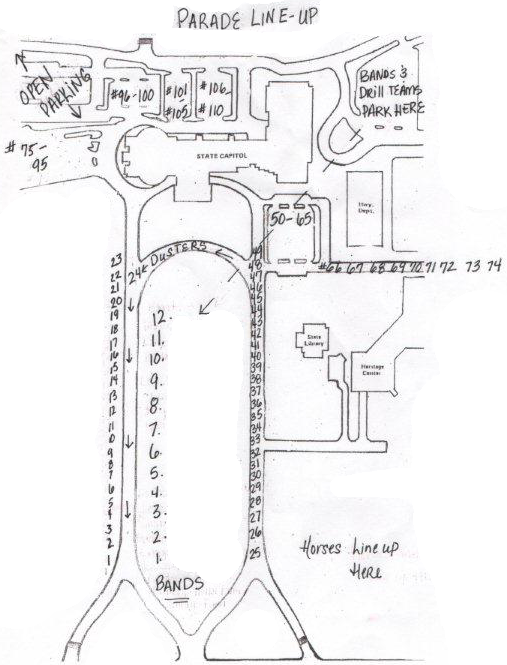 Below is a map of the staging area on the Capital grounds. The parade starts promptly at 10 a.m. so allow enough time to be in position. Also please click here to review the parade rules.